Cleaning away clutter is easier said than done. When organic castoff collects on decks or patios, it is easy to sweep it away. Your roof, however, is more difficult to clear off. 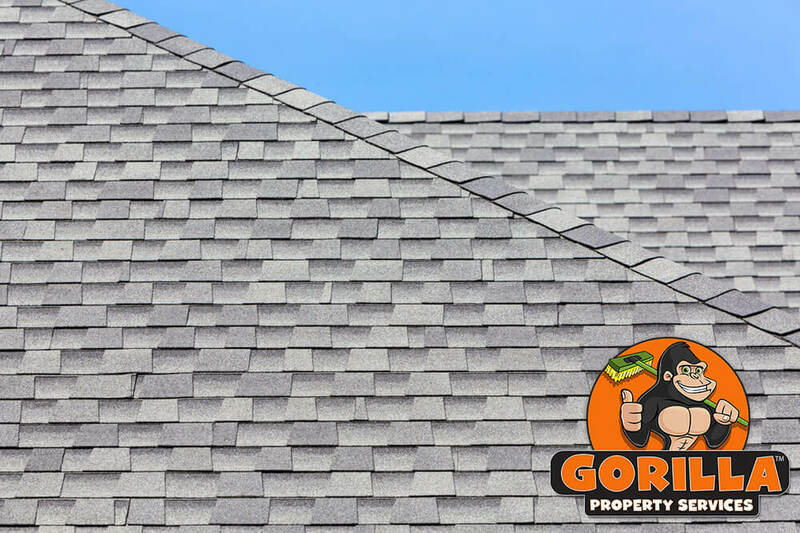 Instead of mapping out methods or stocking safety supplies, call our Gorillas for your Acton roof cleaning and moss removal. What Is Up There Anyway? Having a cluttered roof is not only a question of looking bad but it also works against the structural integrity of your home or business. Anything that collect on your lawn can collect on your roof. Without being able to grab a rake and go to work, this debris just sits. Your roof is designed to let debris roll off but that is only wishful thinking! As some debris turns into a lot of debris, it retains moisture and can make way for invasive plant growth, rot and damage to shingles, decking and construction materials. By making your Acton roof cleaning and moss removal a routine service, you can get a handle on these issues before they are issues at all! 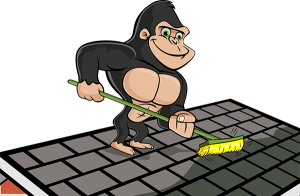 On call or click to our Gorillas will have your property cleared away in no time! When it is time to get rid of clutter and debris from your roof, there is more to it than simply pushing it off the roof with a broom. Instead of moving clutter from one area to another, our Gorillas make sure that it is gone. Once the surface of your roof is clear, any spread of moss is going to be apparent. Once moss is detected, it needs to be removed carefully. Taking care of moss requires more than a wire brush to scrape away growth. Using the wrong tools or techniques for your Acton roof cleaning and moss removal can cause more damage than it is worth. Instead of taking a risk with your property – call a Gorilla!